Located on the east hill of Kent, WA, Soos Creek Kennels is located on 7 wooded acres that are nestled next to a county park and stream. Sounds good? It is! While we are a traditional boarding facility, we're not an ordinary facility. When staying with us, pets have a chance to step outside and see daylight, listen to the birds and breathe fresh air. All staff at SCK share a very important quality--we are completely devoted animal lovers! Our single goal is to provide your Pet Family with a safe, comfortable and healthy environment. Whether visiting us for Boarding, Grooming, Daycare or Training, every effort will be made to make your VIP (Very Important Pet) comfortable and their stay enjoyable. Our promise to you is our commitment to them. Where to begin? Easy! I was 2 years old with a poodle named Mitzi (my Sister's) and a cat (whose name escapes me) but I was the only one the cat would allow to handle him. I'd carry him around in a child-like choke hold and he never once thought ill of me. Isn't that part of the magic of pets? No grudges, no boundaries and no limitations on their love for you. That's how it began and with every stray dog that came through our house and backyard, the feeling grew until I knew I could never be without a best friend. As I grew up and my Dog Showing was at its peak, I looked for a business with pets that would fulfill a childhood promise to myself that "if I could ever make a living doing something with dogs, I would." So, I purchased and took over operation of Soos Creek Kennels in 1997 with the help of my Mom and the one remaining employee from the previous owner; Danielle. Many years later, Danielle and I now have two beautiful daughters and a life and a home filled and surrounded with animals and many happy memories! 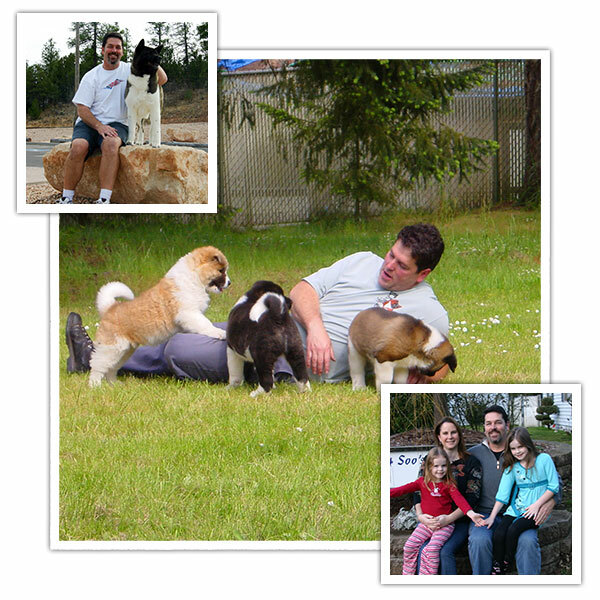 Danielle has worked at Soos Creek Kennels for 20 years, the only employee carried over from the previous owner Danielle is truly Soos Creek Kennels first employee. Danielle's love for animals knows no boundaries; well not entirely true no insects, no reptiles! 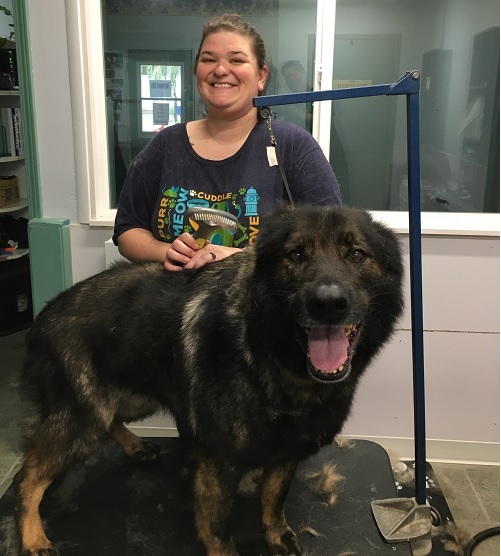 She literally has done every job imaginable at Soos Creek Kennels, these days Danielle has found an outlet for her creativity in taking charge of the Grooming at SCK and established herself as a very sought after Groomer. Still she makes time to take care of all aspects of bookkeeping in her spare time (Nil) and still puts a smile on her face when working the reception desk. Danielle and Dan created their own little Love Story here at SCK and have two Beautiful daughters that have grown up playing, working and creating memories with all the pets that have graced our doorstep. Lori has been a groomer at SCK since early 2014. Born in Montana, many moons ago, Lori has had various jobs over the years. Lori has been working since age 11 and although she has had many endeavors in her life, she has enjoyed grooming most of all. 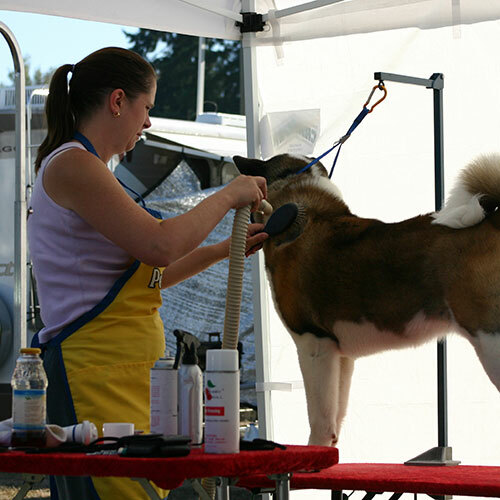 Lori graduated Dog Grooming School in Great Falls, MT in the summer of 1985 and opened her own mobile dog grooming business at the age of 28. The business named "Tail Waggin Mobile Dog Grooming" was a success and she worked until her daughter was born in 1990. Lori then transitioned to a stationary shop when her daughter was 8 months old where she worked for 4 years. After grooming for years, Lori moved onto different careers such as loan officer, bartending and such. 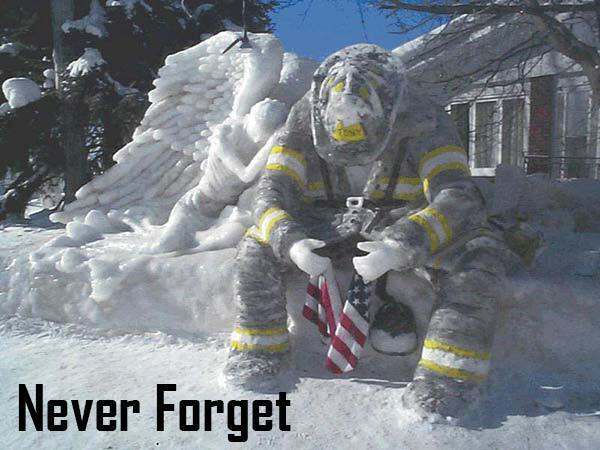 She worked in the food/beverage industry at many levels until her husband died 9/11/2008. After his death, she found she was most happy working with pets again. 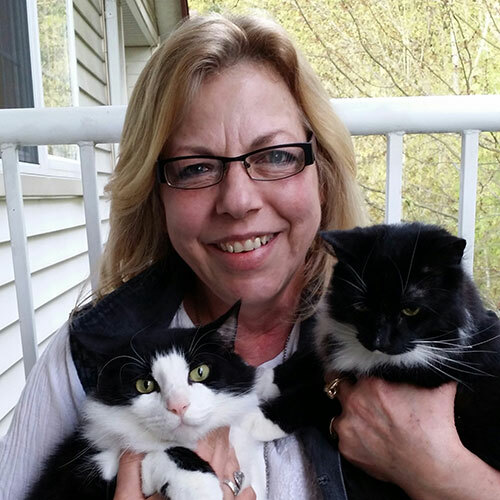 Lori enjoys working with her client's pets to make them look beautiful or handsome. She loves the kisses and the look in their eyes most of all. Amber relocated here in 2013 from Tennessee and is originally from Georgia. She has 7 years of experience in boarding/kennel facilities and grew up around a variety of animals throughout her life. She is a mother of 2 children and recently engaged. 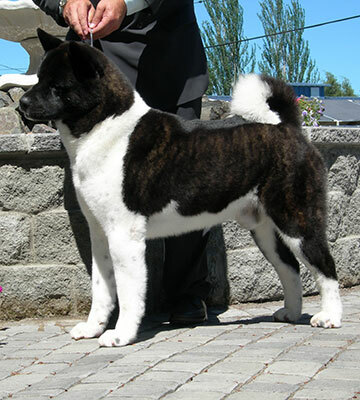 She is also momma to 5 cats (Atticus, Django, Horus, Abigail, and Gideon), an American Bully named Ichigo, and his Pom-Chi sidekick Rukia. Amber also helps to take care of her daughter's rat named Bundy and hedgehog named Sven. 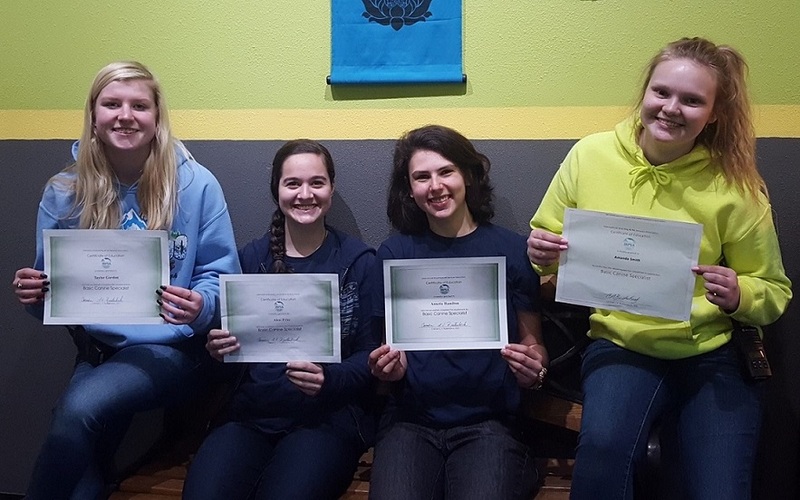 SCK takes great pride in hiring local high school students who love animals to work in the summer. We are often their 1st job and we take that responsibility very seriously as we want them to have a great experience. Their training is a top priority and your pet will benefit from their enthusiasm for their job. Ready to make a reservation or just ask a question?